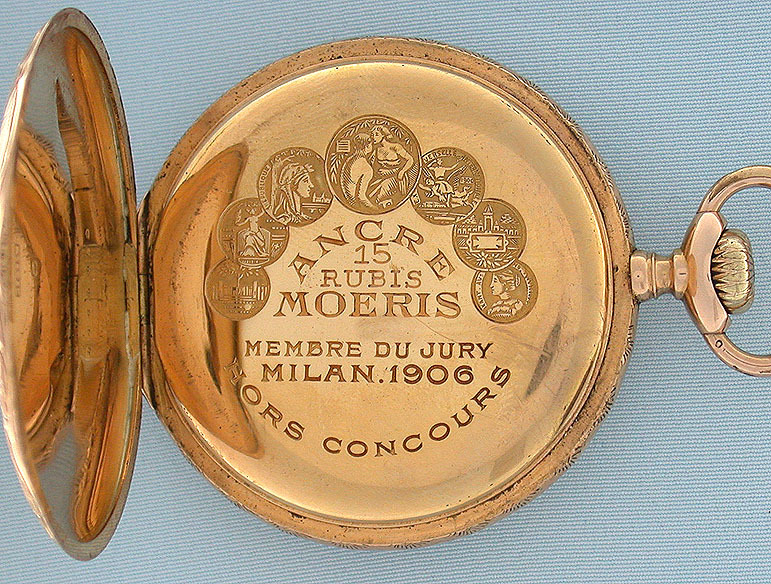 Particularly attractive Swiss 18K gold antique pocket watch by Moeris circa 1910. 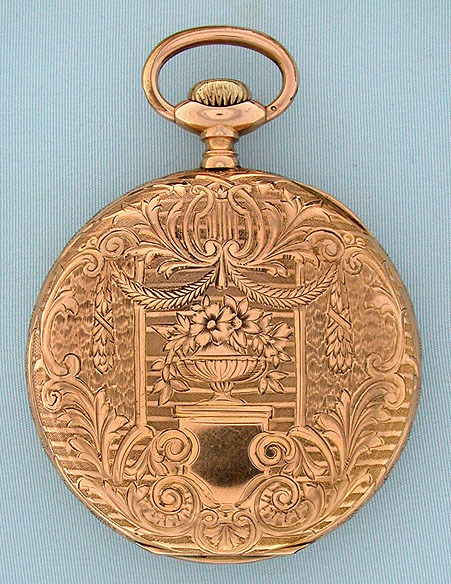 The case back beautifully engraved with flowers, foliage, and swags. 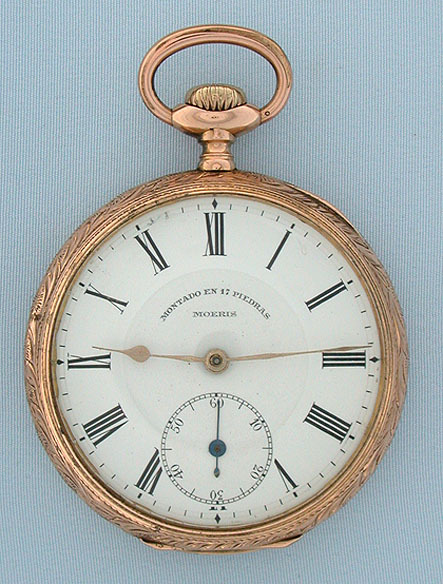 White enamel dial with bold numerals. 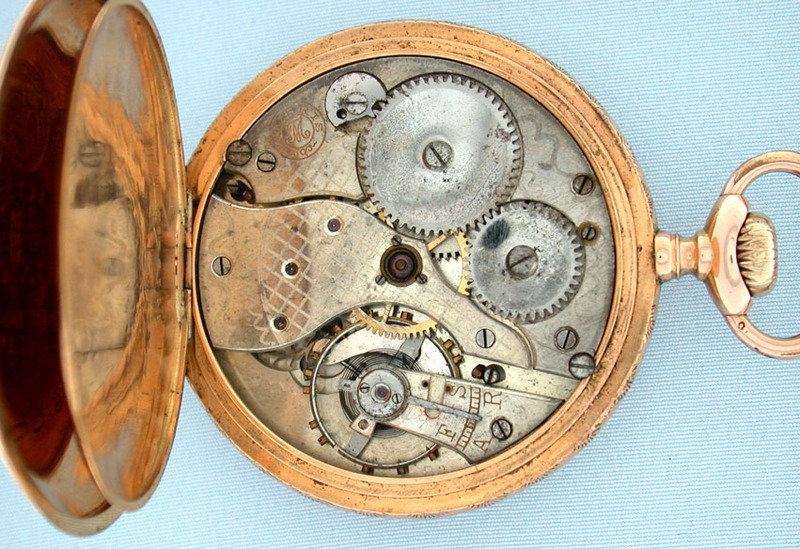 Nickel damascened 15 jewel movement with light oxidation.